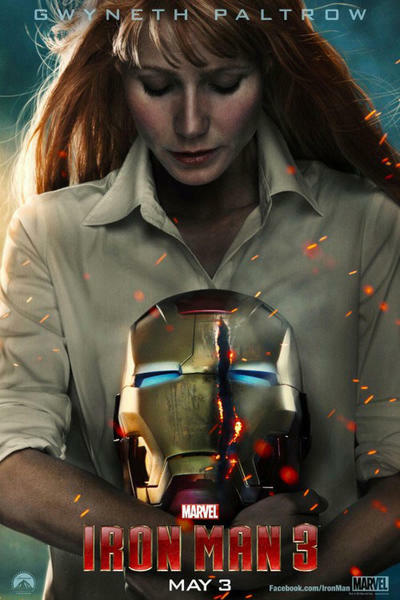 Movies.com > Movie News > 2013 Summer Movie Predictions: What Will Be the Best Movie? The Funniest? The Biggest Flop? 2013 Summer Movie Predictions: What Will Be the Best Movie? The Funniest? The Biggest Flop? The summer movie season is upon us. Truth is, it's already here. Iron Man 3 is in theaters and making silly amounts of money, but there are still plenty of movies coming between the rest of May and August. We've added them all to our own geeky calendars, we've thought about what we're excited for and what we're dreading, and we're ready to make a few predictions. And please join us. It's all in good fun. After all, what's the point of summer movies if they don't get movie geeks everywhere talking? Our Pick: Man of Steel - Maybe this is just wishful thinking, but we'd love for a new Superman movie to once again be the best movie of a summer season. It certainly doesn't hurt that Zack Snyder's take on the most iconic hero around looks absolutely fantastic. It's got a bolder, more regal visual palette than any of the other movies hitting and it's got exciting actors who should all bring something new and different to the table. We're betting it's going to shine, if not for the sheer virtue of feeling new (relatively speaking) in a summer dominated by sequels. Honorable Mentions: Pacific Rim, The World's End - We do kind of hope that either of these movies does end up being the best of the bunch, though, considering both are truly new movies. The former looks like the giant monster movie to end all giant monster movies, and the latter... well, we haven't even seen a trailer for it. We just love Shaun of the Dead and Hot Fuzz too much to not be pulling for the latest movie from Edgar Wright, Simon Pegg and Nick Frost. Our Pick: Grown Ups 2 - Grown Ups 2 is going to make a bunch of money. The first one did, and it's a lame-duck comedy with zero ambition that just coasts by on its star power. We don't expect anything different here. Sure, there might actually be movies that fail harder than this one will, but at least those others seem to have a bit more personality. Honorable Mentions: The Internship, After Earth - Owen Wilson and Vince Vaughn have certainly made funny movies together in the past, but The Internship just looks like a hodgepodge of bad comedies rolled into one giant ad for Google. And then there's After Earth, a movie with a good writer and a good cast, but we are just not going to forget that it's from M. Night Shyamalan anytime soon. If it's at least not as terrible as The Last Airbender, that'll be an improvement, but our hopes aren't even that high. Our Pick: Iron Man 3 - Obviously this is a bit of a hedged bet considering Iron Man 3 opened early internationally and so we've already gotten a pretty staggering glimpse at the kind of money it can pull it, but it would have been our bet even if it were still a week away. There's just no way that the first post-Avengers Marvel movie starring the guy who launched this new Marvel megakick in the first place doesn't reign supreme. Honorable Mentions: Monsters University, Man of Steel - The former may not have a ton of buzz behind it at this point, but its hit status is guaranteed considering people young and adult will turn out to see it in droves (unlike Pixar's last outings). 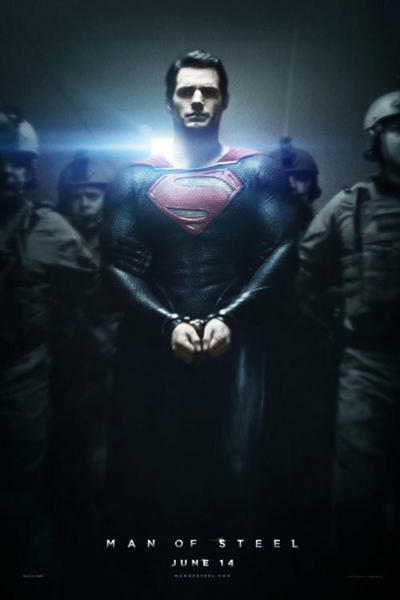 And then there's Man of Steel, which so far seems to be perfectly positioning itself as a refreshing, haven't-seen-this-before take on Superman that stands out among the superhero crowds. 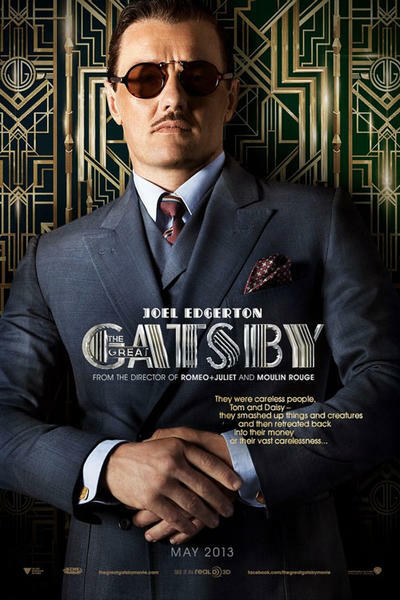 Our Pick: The Great Gatsby - Even for a movie starring Leonardo DiCaprio and Tobey Maguire (no strangers to big blockbusters), it's just plain strange that Warner Bros. is opening a lush adaptation of a nearly 90-year-old novel about life in the roaring '20s in the summer. The movie may be great, it may not be, but this seems like a scenario where the quality doesn't even matter. Baz Luhrmann's latest is just coming out an odd time and against an odd marketplace. We don't think it'll flop in the traditional sense, so much as it'll just vanish without much fanfare at all. Honorable Mentions: After Earth, The Lone Ranger - On a pure budget-to-box office ratio, either After Earth or The Lone Ranger have more potential to be a purely fiscal flop, but both are at least seen as summer films and should be able to muster up decent numbers based purely on eye candy. 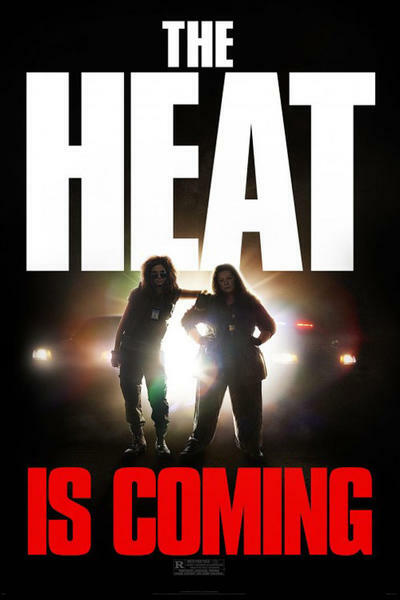 Our Pick: The Heat - Paul Feig seemed to come out of nowhere a few years ago and make a sleeper hit with Bridesmaids. Now he's back with that film's breakout star (Melissa McCarthy) and the eminently likeable Sandra Bullock for an R-rated comedy about an FBI agent and a Boston cop pumping scumbags full of lead. We're betting the result is going to have some of the biggest laughs of the summer. Honorable Mentions: The World's End, The To Do List - The trio that made Shaun of the Dead and Hot Fuzz aren't going to make an unfunny movie. That's just science, so we're not expecting any failures there. The To Do List is a bit more of a wild card, but it's got a very funny cast (Aubrey Plaza, Bill Hader, Alia Shawkat), so our hopes are high. 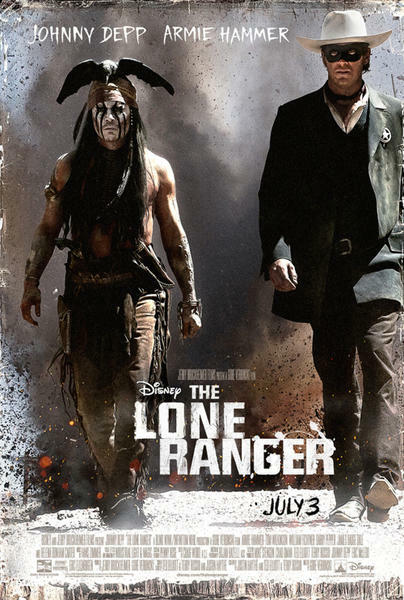 Our Pick: The Lone Ranger - We shouldn't exactly be surprised if a new movie from the team who made Pirates of the Caribbean is great, but we kind of will be if The Lone Ranger ends up being awesome. The reason isn't that we doubt Gore Verbinski or Johnny Depp, but that high concept Western movies just haven't been very good in the past. You can blame Jonah Hex and Wild Wild West for setting our expectations low, but so far the trailers haven't done much to remedy that, either. Hopefully this one ends up bucking that trend. Honorable Mentions: Now You See Me, The Conjuring - Both of these films should be a nice breath of fresh air during these coming hot months filled with explosions and superheroes and monsters. Now You See Me is a heist movie where the criminals are a gang of illusionists, which sounds cool to us. And The Conjuring is a horror movie with a prime July release date. That alone should tell you Warner Bros. is pretty confident it'll satisfy crowds, but it also looks like another solid movie from James Wan (Saw, Insidious). Update: 300: Rise of an Empire has been delayed to March 7, 2014, so we're picking a new, uh, winner here. 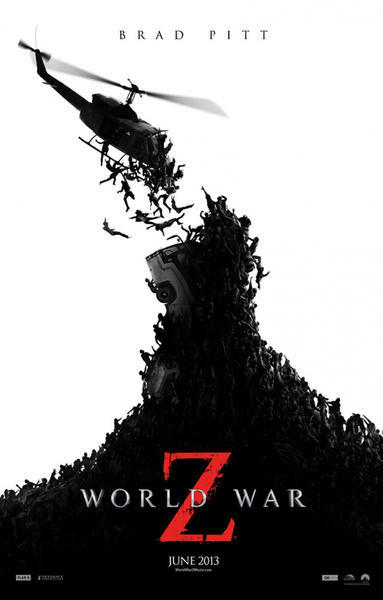 Our Pick: World War Z - It's going to be very, very hard for World War Z to not end up a disappointment considering we love the book so much and it's already obvious that the big-screen version isn't even remotely like it. Honorable Mentions: The Wolverine, R.I.P.D. - The Wolverine somehow looks like the most generic superhero movie of the year despite starring a fan favorite. James Mangold is directing, so it's probably not going to be a complete disaster, but our hopes for a fantastic Wolverine movie aren't too high. And then there's R.I.P.D., a movie that looks totally generic. There's a lot of talent involved in this one, though, so it'd be a shame to see it go to waste. 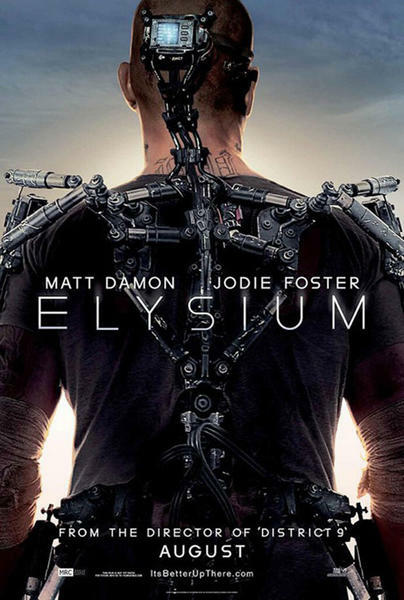 Our Pick: Elysium - Neill Blomkamp seemed to come out of nowhere in 2009 and deliver one of the coolest sci-fi movies of the year-- and keep in mind 2009 also had Star Trek and Avatar. He's a true sci-fi geek that really knows how to craft a memorable scene, and we think it's a very safe call that he's got some truly cool and unique stuff cooking for his second film, which is about a man (Matt Damon) infiltrating a space station in the year 2154. Honorable Mentions: Man of Steel, Star Trek Into Darkness - Either of these will no doubt generate a ton of watercooler talk purely because they're new movies dealing with old icons. We just hope either one brings something original to the table that's worth talking about, and not just something that gets buzz because it's a new twist on something everyone grew up with. 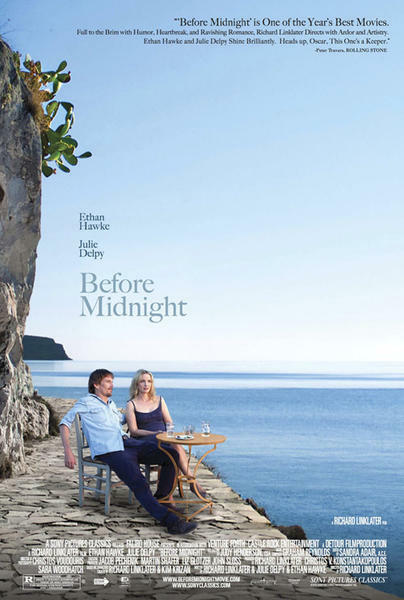 Our Pick: Before Midnight - Not every movie coming out during the summer season is a special effects extravaganza costing over a hundred million dollars. There are also plenty of small, "art house" films on the horizon. We're cheating a bit here since we've seen Before Midnight on the festival circuit, but it's already one of the best movies of the year and we're just excited to see it again. Honorable Mentions: Only God Forgives, The Kings of Summer - A new movie from the director and star of Drive? We're throwing money at the screen and it's not getting here any sooner. The same goes for The Kings of Summer, a coming-of-age comedy that we already know is fantastic. Our Pick: The Conjuring - Let's face it, any movie coming out between May and August has one thing in mind: sequels. If you look at this summer's lineup, most of the movies coming out are already parts of a franchise somehow, but there are a few originals (at least to the big screen) in the mix. Of those, we'd say The Conjuring has the best chance of spawning a few more movies. It's horror, which is always sequel happy; it's cheaply made, so the barrier to profit is low; and it's the new movie from James Wan, a man whose first film (Saw) already spawned approximately 92 sequels. Honorable Mentions: Pacific Rim, R.I.P.D. - We want Pacific Rim to be a franchise just because it looks so, so cool and we could watch giant robots fight giant monsters all day long. We're less enthusiastic about R.I.P.D., which looks like Men in Black but with the undead instead of aliens, but it looks like the kind of movie 13 year olds will gobble up, so we won't be surprised if it's a modest hit.